MADISON, Wisc. 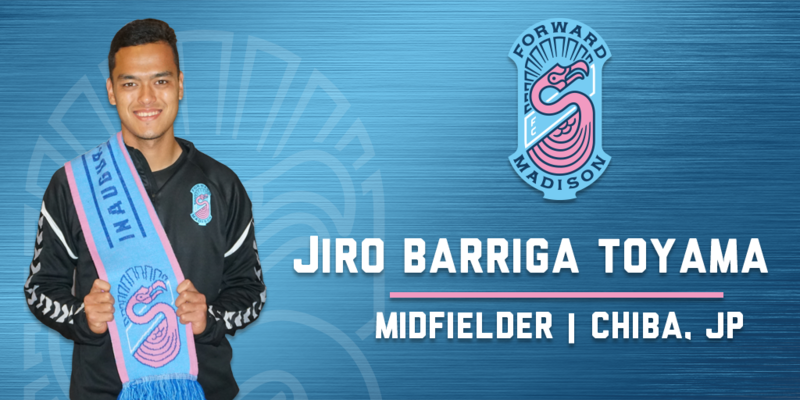 – Forward Madison FC announced on Tuesday it had signed Japanese-Colombian winger/defender Jiro Barriga Toyama to its inaugural roster. Barriga Toyama came to Head Coach Daryl Shore’s attention during his trial with Minnesota United, FMFC’s partner club in Major League Soccer. According to Shore, the 23-year-old Barriga Toyama can play either as a fullback or a winger on both sides of the pitch. He started in FMFC’s March 2 preseason game against Saint Louis FC as a right winger but scored a hat trick for Minnesota United against FC Tucson on January 29 while playing on the left side. Barriga Toyama grew up in Japan and trained with JEF UNITED for six years before moving to the United States in 2014. He played first at Barton Community College (KS) before transferring to Florida Gulf Coast University, which he graduated from in 2018. During college offseasons, he gained experience playing for the Brooklyn Italians and FC Wichita. For Barriga Toyama, Forward Madison’s offensive approach under Shore fits in perfectly with how he likes to play.